It goes to show that we should never write a driver off. Particularly not one with the fundamental of raw pace. Rewind to earlier this year, and it looked liked Romain Grosjean was well into his long goodbye from F1. The second half of his 2012 campaign was the stuff of nightmares: becoming the first F1 driver in almost two decades to get a race ban, thanks to triggering a multi-car pile up at Spa; then he took out Mark Webber at the first turn of the Suzuka race and, led by the Australian, it was open season on Grosjean afterwards, and this seemed to destroy whatever remnants of confidence remained. His driving became tentative, the speed of earlier in the year (wherein in often plain beat Kimi Raikkonen of all people in the same car) shorn apparently, and it added to a campaign that, despite there being good pace on show, included a string of incidents with other cars, particularly early in races. And the 2013 campaign seemed merely a continuation: error-ridden and almost never getting near to his stable mate in the early rounds. Things reached a nadir in Monaco: Grosjean shunting twice in practice then driving into Daniel Ricciardo in the race. Some thought that Lotus reserve Davide Valsecchi was dusting down his overalls in preparation for being brought off the subs' bench mid-year. But I for one can rather immodestly claim that I cut Grosjean a bit more slack than many did, taking the view that (although it sounds like a cliché by now) for as long as the raw laptime is in there somewhere a driver deserves a bit longer to get it right than most. Indeed, even within his Monaco long dark night of the soul he showed this innate skill, getting out on track with minutes to spare in Q1 (a result of his FP3 smash) and immediately banging in a great lap time, in the most challenging circumstances of a drying track in Monaco, to make it into the next session. And Grosjean finally appears to be making good on it all, experiencing something of a renaissance that can be traced back to Silverstone in late June. Some in the Lotus team have attributed it to him becoming a father, but whatever is the case the evidence is that Grosjean has had his eureka moment, and from the British race onwards he's been competitive consistently and has been at or even exceeded Kimi's pace just about the whole time. He might have won in Germany moreover but for a mid-race safety car that didn't really do him any favours. While Hulkenberg was the man of the match in Yeongam for most, Romain Grosjean's efforts weren't far short. Indeed, come the race he was by far the closest challenger to the haughty Sebastian Vettel, staying within a few seconds of him as they approached the part of the race wherein tyre degradation was likely to become a real factor - usually the precise point when the Lotus comes into its own. Just as in Germany however a mid-race safety car let Grosjean's rivals off the hook somewhat and just like then it also suddenly got his team mate on his tail, this time wiping out a 25 second gap. And just after the safety car went in a small mistake by Grosjean let Kimi ambush him, and Kimi stayed ahead the rest of the way despite having been slower all weekend pretty much. Still, no one at Lotus doubted the quality of Grosjean's performance. Perhaps his greatest revelation was the assurance he showed both in passing Lewis Hamilton on lap one and then in rebuffing his efforts to re-pass, both immediately and later. 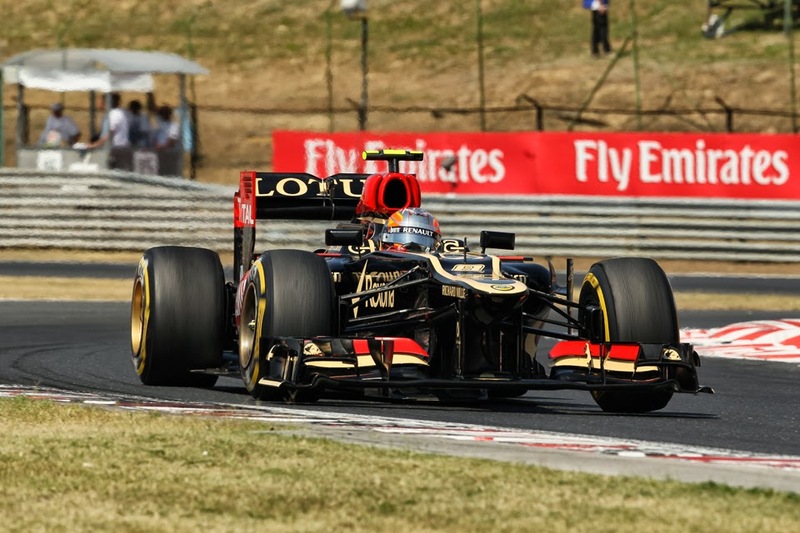 Grosjean displayed a calm and conviction in a wheel-to-wheel situation that he, shall we say, hasn't always. For all of the recent discussion about who'll lead the 2014 Lotus challenge in Kimi's stead, all of a sudden it seems the Enstone team might just have its answer in house. How ridiculous that would have sounded in Monaco.